-British Airways wants me financially dead. -My family, a more powerful entity, wants me alive and is more proactive toward that end. So, while I’m headed to India soon, I am participating in a final indulgence. I am going to write a blog about the Oscar noms. Last year I watched all Oscar noms in best pic and best performances categories. I went to that rickety Century 21, sat in the screens glow for a few hours, and effectively soaked in my movie experience for the year. Much better than a tan. This year, I will be out of country for the Oscar month, so I watched a few of them and will say my piece on the Academy’s decisions. BEN BUTTON!? WHAT THE!? I will say what thousands are saying across the nation. Didn’t I see that already? Except there was a floating feather instead of a hummingbird, leg braces instead of old crusty legs, etc., etc. Ah yes, back in ’94. And that guy’s mama said it best, “Life is like a box of chocolates; you never know what you’re gonna get.” Or in Ben Button’s mama’s case, “You never know what’s comin’ for ya.” And who would have thought that this year’s Forrest Gump remake would get the most Oscar noms. A shot out from Hollywood to their favorite Pitt? A move from the Academy to get ordinary people to care this year by making a “blockbuster” the big contender this year? A shame? All of the above. I enjoyed it fine, but 13 noms. That’s an overstep. But I’ve already given this movie to much screen time here, as it were. Doubt. Congrats to Streep, Hoffman, Davis, and Adams. What a team. There’s a movie completely driven by its characters who are acted very well. No movie I’ve seen since House of Sand and Fog moved me so much. So it didn’t have an old-man-baby. It did have an old man going after a baby. And it had a cross-bearing, screaming Streep. Beautiful. The Reader. Not that great. Of course, I’m no Hollywood. But as far as story goes, I just didn’t care enough about it. Although, I love Kate, and I will be listening for the phonetic joy that is Kate saying, “Hanna Schmitz”. The Golden Globes didn’t give any shout outs to Angelina Jolie, really. She got a nom, but no one cared. However, I remember seeing that movie, and I thought, if she gets no Oscar nom for this, I’m through. So, Oscars, you must have listened. You realized that you need me, and you put AJ up. Seriously though, AJ got me to feel the delicate line Christine Collins was trying to walk between a societally satisfying composure and sense of trust and her inner dread, distrust, and inklings of conspiracy. AJ dove deep there. Get it, AJ. M.I.A. will be at the oscars this year! Well, her name will be. Maya Arulpragasam got her nom, and the years indie baby will represent! I have joined the millions digging her “Paper Planes” and others. And kudos to whoever it was that said that they needed this girl for the film. Be listening for her. And of course, Heath, may he rest in peace, will walk with this one. We knew it before he died. That joker freaks us out. And for that give the guy the gold! Although Penn was phenomenal and biopics always carry a certain award-giving power (see Frank Langella’s nom as well), Rourke’s getting the hype. Hype, of course, is tricky and can swing awards away. Congrats to the usually supporting performer, Jenkins. Pitt was flat. I’ve seen the trailer for the The Wrestler, and THAT moved me. So, here’s to Rourke. Hoffman, great. Brolin, meh. Downey, please. 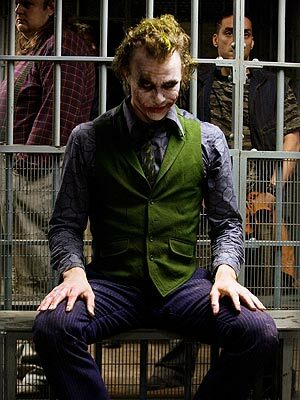 And I haven’t seen Rev Road, but you can’t beat Ledger in Dark Knight this year. Can’t be done. Get it, Anne. Love AJ (See above). For me, although I didn’t think The Reader was that good, Kate does a fantastic emotional job. However, Meryl is utterly moving in Doubt. And with the GG going to Kate, I feel Meryl’s getting this one. With Kate out of this picture, I’m a little remiss to say who. Ben Button’s mom, sorry, no. And Cruz, you weren’t funny in the preview, you probably weren’t funny in the movie. So of the three left, as before, I lean Doubt. While Tomei as a compassionate stripper, I would almost throw my vote there, but in good conscience, it’s up to Davis and Adams. Because I was startled by Adams in Doubt, I’ll say the other nun is getting the statue. Although Ron Howard is really getting the hype for Frost/Nixon and Slumdog Millionaire is quite the director’s challenge, I think more timely, bravely well handled and therefore better choice is Milk‘s Gus Van Sant. Because they did look really old. Come one. The song is good. “O Saya” make you want to watch that movie. 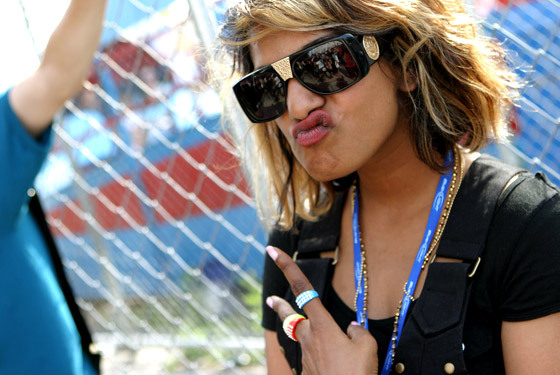 And of course I want M.I.A. to have an oscar. Just like Al Gore. Well, BB is out. Do I need to keep saying that? 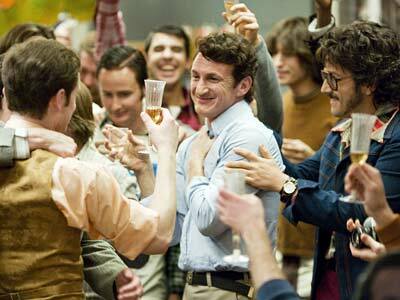 Biopics are great. I’ll give up asking what Doubt‘s not doing there. The Reader? See above. But I think this is where everyone will throw their Slumdog love. I don’t think you should get the statue for adapting a stage script for screen, so my vote won’t go to F/N, or Doubt. I haven’t read the books/stories that the other three are based on and while the adaptation of a short story to a movie seems like quite a jump, this writer seemed he had a trajectory already laid out for him in ’94. So, although Slumdog is a powerful story, I think the most moving part of The Reader other that Kate’s Schimtz is the writing. Now here again I’m torn by the biopic pull. Frozen River seems intriguing and as a rogue entry, ie. not seen in the GG’s, it could pull the votes. And of course, comedy is getting the love, because comedy is harder than drama. 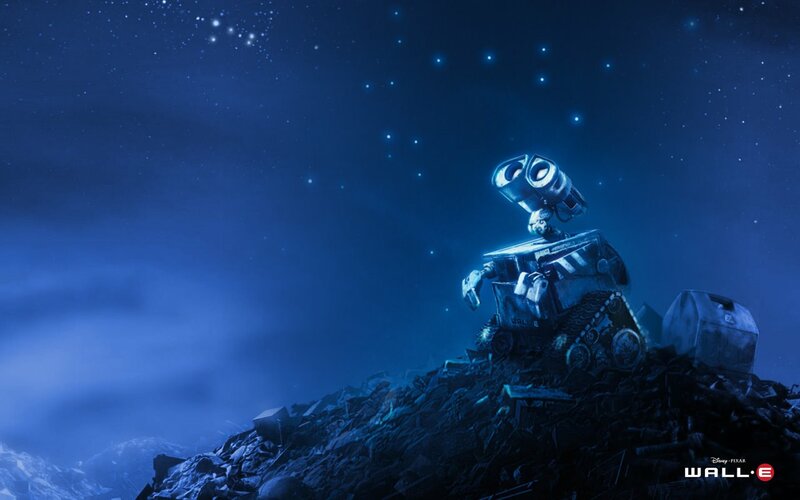 With that point in mind, see Wall-E, where comedy plays out beautifully as well as drama, in a screenplay which doesn’t include talking for the first half of the film. Now that, I think, is acheivement. I’ve seen like… two of these movies.I got Wall E for Christmas (or my birthday… pretty much the same I guess) and fell completely in love. I wanted to rename my dogs but Jonathan wouldn’t let me. I agree with you in most every aspect. I’m not sure between Meryl and Kate, though. I say Meryl DID better, but as we have previously discussed, Kate is long overdue.I think Boyle might walk away with best director. I REALLY think even if Dark Knight wasn’t up for Best Picture, which I get, it should have been considered for best direction. Seriously. Let’s throw Nolan a bone for making what could have been a cheesy superhero movie (i.e. Spiderman) into something as phenomenal as it was. Praying and thinking that Heath will get his win. So nice to hear he was nominated on the year anniversary of his death. If it went to Downing that would be disgusting. There was nothing funny about that movie. Truly.Oh , but I have heard lots of buzz about Penelope. Lame. So that might be coming. Heads up.